lets remember all the people killed in the name of the freedom , the people killed by collateral dammage ( if the collateral dammage is done by arabians is called terrorism, weird isnt it?). Lest remember the genocide attack to hiroshima and nagasaki. Well said Reddragon. Its also a time of reconciliation so lets keep it civil, even if other's don't, otherwise it just spirals as always. no it seems reddragon would prefer nazi rule. He also doesnt realise what genocide means. I agree Osi. No-one should EVER mock the people who gave their lives for freedom and to stop senseless/needless deaths of others. Although no-one has true freedom, thats another issue. Although, Hitler was evil. No-one is completely evil. He changed that country around into a super-power. He was a good leader, however he just did really bad things, when they definatly were not necessary. Rememberence Day is for the fallen in ALL the wars fought including the ME. Reddragon does not mock anyone, he points out bias in the line of thinking where we fail to remember many of the people who die in wars in our "Rememberence" Day. Also, and this is maybe slightly aside from Rememberence Day, he points out that the soldiers on one side may be viewed as 'terrorists' by the other. Were the the British citizens who rebelled against the government and gained independence for the country that is now the USA terrorists? The UK, France, Germany, China and good few other nation had "Empires" where there were many deaths because of their imperialism, is that not a form of terrorism? Rememberence Day , if it isn't already, should be for all who die in war not just our guys. The whole thing of war is a sorry affair. That's my 2 cents anyway! the point is we dont remember enemies because rememberance day is about those who died for us. soldiers are never viewed as terrorists. soldiers wear uniforms, soldiers dont generally blow up stuff in a country that they are not at war with, you mean the Freedom fighter/terrorist thing?. you should keep politics and right of wars Out of this. 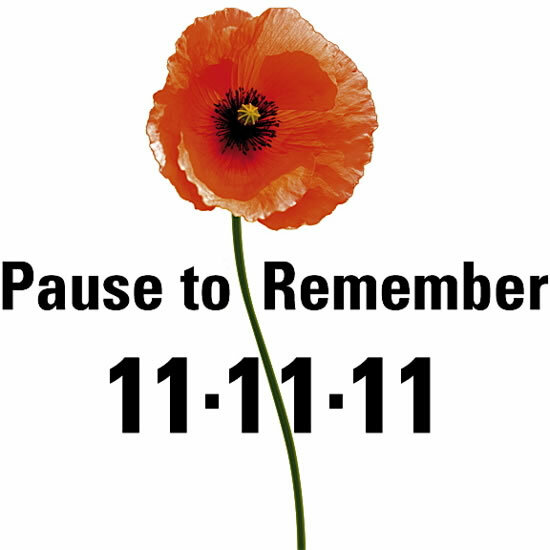 Rememberance day is about remembering those who gave the ultimate sacrifice for thier countries. not about the politics of the wars. ..wot about Swizerland...they're neutral too. Mustn't forget Switzerland! If there's one thing I'd enjoy about war it'd be shooting anti-war, anti-west cowards like Nordmann in the back of the head as they try running away. War is not terrorism, nor are soldiers terrorists. Respect and remember those that died so that you could have the freedom to express your own opinions in places such as this. Bring it on Auspice!! Why don't you just say you want to gas me in a concentration camp and be done with it! HA HA HA HA !! You'd have ended up in one under your preferred Nazi rule I'm sure. Yea with you as the local Uberfuhrer by the sound of it. CANADA = PEACEKEEPERS >>> PEACEKEEPERS = CANADA!!! Remembrance Day should be about ALL the fallen (evey single human being no matter what side of any conflict the person was on along with civilans) in ALL the wars fought. It should also be about every dream we destroyed, every animal killed and every negative impact on this planet due to war. To some it all up, Remembrance day should be about remembering the sad reality of war in genral, and that at the end, we are all people, born the same, our enviroment has just shaped us into what we became, but when it comes down to it, a fallen person is a fallen person, no matter what side (if any) of a conflict they are or on or what spiritual,ideological and philosophical beliefs they adhere to. That is what Remembrance Day should be about. i wasnt talking about the soldiers that died in world war II i was talking about the people that ordered the attack in Japan. And for the war in Irak i know there are good people there fighting in an stupid war (not against terrorist because there wasnt any terrorist before the invasion). I say lets remember all the inocents that died in all the wars and not only the American or England inocents. Sorry for my english, sometimes i cant express well in it. Yes, an stupid war is bad. That is why an hero like you must preach to the public about such horrible acts. Hitler was evil, no doubt about that. However, think about it, he was a fantastic leader, he nearly took over Europe if his general's didn't doubt his judgement and if he had more resources to spare. However, yes, we should remember those who gave up their lives in order to defend our freedom and that of those countries and races captured by the third Reich, not Nazi's, there is a difference. Hitler = history book boogie man. anything in perticular crossing your mind when calling him caracoc? He is reffering to a chicken, the cockerill to be precise! ?